So close to the mountain – We are literally right next door. A stone’s throw away, yet our inn’s seclusion is still there. Go next door and spend a day on the mountain then come home to Alpine Haus Bed and Breakfast Inn where you can unwind and feel relaxed as soon as you walk in the door. Alpine Haus Bed and Breakfast Inn offers discounted ski and waterpark tickets along with a variety of lodging packages. See our Specials Page. We are family friendly, so call us to arrange your Mountain Creek lodging. Don’t forget to ask about massage services for those sore muscles! 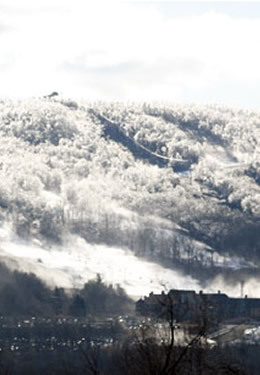 Located directly next door to Alpine Haus Bed and Breakfast Inn, and the closest skiing toNew York City(just 47 miles away), Mountain Creek Resort offers skiing, snowboarding and snow tubing on 167 acres with the best snowmaking system in the region. Thrill at the 100% night skiing on Mountain Creek’s 1040′ vertical drop – higher than any other ski resort in the Poconos. South andBearPeaksare home to the East Coast’s only mountain dedicated to snowboarding with an expansiveTerrainPark. The recently expanded 30 lanes of snow tubing with a magic carpet that takes you back up the hill guarantees fun for everyone. Mountain Creek’s Red Tail Lodge is a 3-story, 50,000-square-foot Day Lodge, opened in 2010. Reminiscent of an Adirondack lodge with large open fireplaces, massive glass walls to view the slopes and all the modern amenities, the lodge boasts three eating venues: Market cafeteria, Schuss bar with wood-fired pizzas and Hawk’s Nest, a gourmet restaurant. The south area has been converted into a snowboarder’s haven full of specially designed terrain parks. The South Lodge has been refurbished to make snowboarders feel right at home. You have a choice of renting equipment at Mountain Creek or McAfee Ski & Sport shop just down the street. At McAfee, you can rent the night before and avoid the lines. Group or private lessons available. 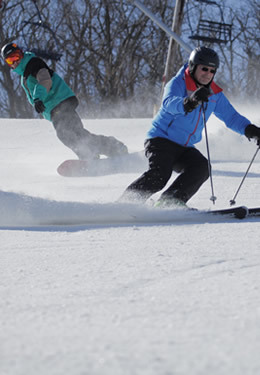 Special beginner programs & packages available at Mountain Creek. Kids Kamp allows you to spend the day on the slopes while the kids learn to ski or snowboard in a program designed just for them. Full-day and half-day Kids Kamps are available for kids ages 4-6 for skiing and 5& 6 for snowboarding. Reservations are required. Book early for holiday periods. Great fun for adults and kids! Fly down the hill on a large inner tube then ride back up on a magic carpet. 30 tubing lanes. Sessions rotate in 2-hour increments. You must be 5 yrs old and 42”tall. You do have to make reservations in advance 973-827-2000. This waterpark is unlike any other as it is built on 39 mountainside acres right next to the ski slopes. 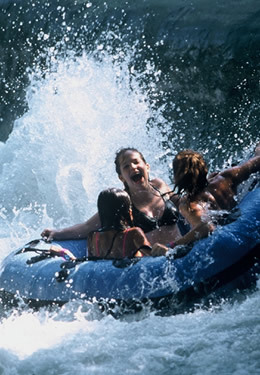 23 rides, slides, and pools are set within the wooded mountain acres. A variety of food options are available within the park. Guests are not permitted to bring food inside the park, but a picnic area is available outside the park gate. Parking is free. Locker rentals are available. 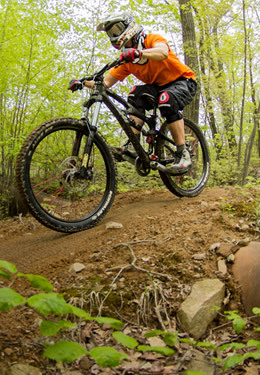 The Bike Park has developed into a park for all riders from beginners to experts. This park is unique with an open air gondola to get you to the top of the mountain where the vertical drop is 1040’. Open from May through October with 45 trails and more than 60 freestyle features. Cross country is opening soon. Zoom Zip lines fly above Mountain Creek with two zip lines connected by a series of trails and a suspension bridge. Travel at speeds up to 50 mph on a ride of over 1500 feet in length, 200 feet above the ground.